Description: Maggio's Roofing is a business categorized under home appliance, furniture, and entertainment rental services, which is part of the larger category equipment rental and leasing. 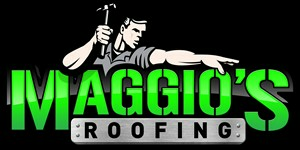 Maggio's Roofing is located at the address 2851 Cotton Field Rd NW in Kennesaw, Georgia 30144. The Maggio's Roofing is Maggio's Roofing who can be contacted at (770)313-6849.
Review: Hello I’m Tom from Maggio’s roofing. I’ve been in the roofing business for over 30 years and I've worked on every type of roofing product available from asphalt shingles, to steel, to single ply membranes. We believe in doing roofs right the first time – EVERY-TIME. We NAIL every commercial and residential roofing project with precision. We’ll deliver your satisfaction with integrity! Location & access map for "Maggio's Roofing"